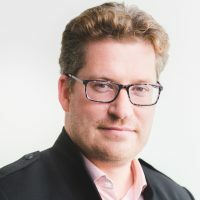 Dr. Paul Kershaw is a tenured University of BC professor, public speaker, regular media contributor and Founder of Generation Squeeze – a voice for younger Canadians in politics and the market supported by cutting-edge research. Kershaw is one of Canada’s leading thinkers about generational equity. He received the award for Academic of the Year in 2016 from the Confederation of University Faculty Associations of BC. Twice the Canadian Political Science Association has honoured Kershaw with national prizes for his research. He and his Gen Squeeze colleagues also received the award for BC’s Affordable Housing Champion in 2017 from the provincial Housing Central coalition. At the UBC School of Population and Public Health, Kershaw studies the evolution of the standard of living in Canada, along with government policy adaptations.These themes are central to scholarship about the social determinants of health, and WHO recommendation that governments pursue health in all policies.